Welcome back readers! 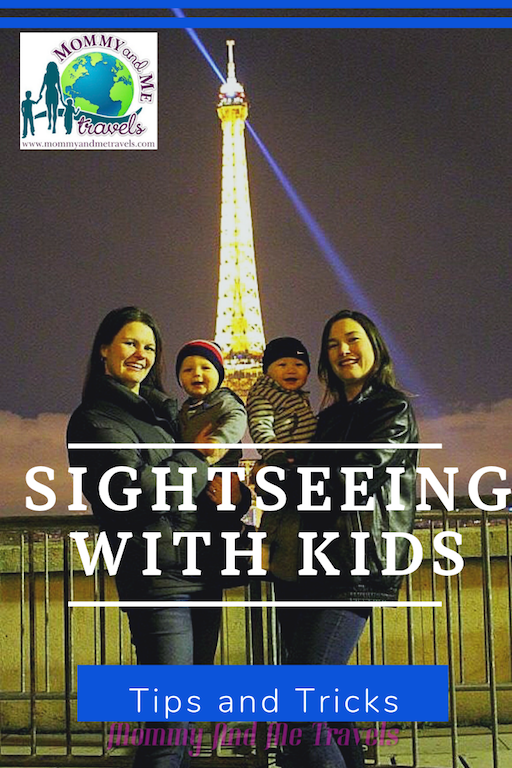 This week’s interview with our International Travel Mommy Experts is focusing on providing you tips and tricks for sightseeing with kids. I am sure you recall that these amazing family travel bloggers have been sharing with us tips and tricks for traveling will kids over the last several weeks. Quick recap: week 1 was inspirations on how to start planning your family vacation. In week 2 these family bloggers shared how to save money on transportation. Week 3 was the best way to choose family accommodations. 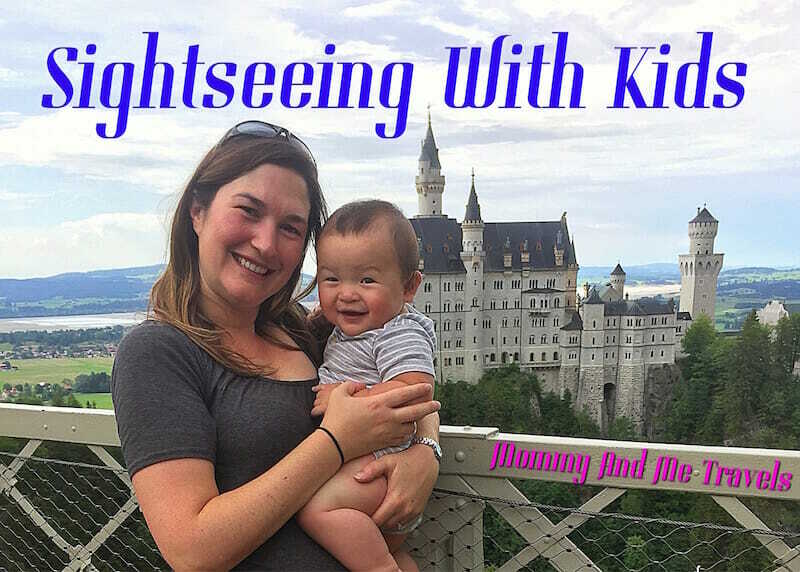 That brings us to this week (4), Mommy And Me Travels is excited to bring you the interview about Sightseeing With Kids: Tips and Tricks from the Mommy Experts! Without further ado let’s jump in and here from our contributors. 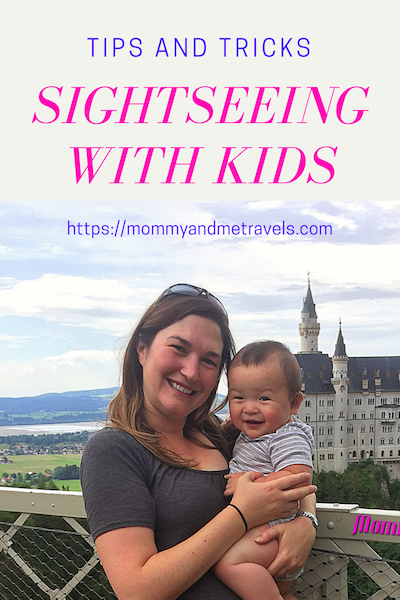 I’ll kick it off with our ideas here at Mommy And Me Travels to inspire you to partake in only the “must see and must do” sightseeing with kids activities for your next family adventure. The first thing I’m going to tell you to do is, breath and relax. You are not going to get to see and do everything in a new country or city if you are on a 1, or even 2, week vacation with kids. This does not mean that you can’t make the most of your trip and still get the cultural or relaxing vacation of your dreams. Traveling with young children just means that you have to be creative in your strategy for sightseeing. I’ll share with you my top 3 lessons I’ve learned over the last several years traveling with small children. 3) If traveling in and around Europe, invest in a great umbrella or smaller stroller. We love our Portable Lightweight Travel Stroller by Jovial (picture and description can also be found in the “shop with us” area below). European attractions and activities (like taking a metro) are usually much more compact than we are accustom to in the USA. So, in short, just pick your top 3, 4, or 5 absolute must see sightseeing locations and let the rest fall into place. You will not believe everything there is to discover when actually at your destination. Remember you are on a family vacation, and ensuring it is enjoyable for everyone will help to build the true memories that you and your kids will remember forever. Let’s see what the others have for tips about sightseeing with kids. Welcome Sarah! You have had some interesting experiences with travel while at a destination. Will you share with us tips on what you like to look for about transportation during your sightseeing activities? Thank you Sarah! Your horseback experience sounds amazing. Hi Regina! After Sarah’s advice, what are your family tips that you can share with us for sightseeing with kids? Sometimes we plan our whole vacation based on the things we want to see and the activities we want to do. Our bucket list just keeps growing. I believe every place has a great story and there is usually something for all ages. Here are my five most practical tips for sightseeing. 1. Balance must-see spots that require a ticket purchase with free things to do. 2. Be prepared in case you’re out longer than you plan. For us, this means snacks and refillable water bottles. It might be extra diapers or cash for the next family. When you’re in the moment or the commute takes twice as long as planned, be prepared. 3. Download the app Field Trip and find things to do everywhere. 4. Break up into two groups. One parent with the older kids, the other with the younger kids. Or some other way to divide that suits your family. This works great at theme parks. 5. Workaround the busy times. Don’t plan to use public transportation during rush hour. Do take advantage of evening or extended hours for sights. Don’t visit at the busiest time of the year. Do go to things early at the opening time when you’re more apt to see the things most important to you. Always look for crowd calendar type apps and sites to stay informed. Those are some great practical tips from Full Time Field Trip. Thanks Regina! Hello Annette from https://tipsfromatypicalmom! I’m sure traveling with 5 kids can get expensive, How do you find deals to make your trip more affordable? Thanks Annette! I love the idea of finding deals on Groupon. Greetings Melissa! As I’m sure you are well aware, traveling can get exhausting. I can only imagine that you have exceptional tips for helping to minimize this exhaustion. How do you plan a trip that is wheelchair accessibly friendly when sightseeing with kids? I love the idea of taking a “day off”. That is a great tip! Thank you Melissa from Disabled Disney. Up next we welcome Sarah from State By State! When planning your next destination, how do you pick and choose between all the options available? Thanks Sarah! I’ll definitely be checking out an ASTC membership and your post on Saving Money While Traveling America. Hi Kirsty from a World for a Girl. We heard that Sarah loves outdoor activities but I’m told that you have a love for visiting ancient ruins and history museums. Is there one place or tip you have for families with small kids visiting these activities? Excellent Kirsty! Visit her South Korea Family Travels for more about those amazing child-friendly museums and how she found them when sightseeing with kids. Welcome Nikki from Yorshire Wonders! You shared with me before about a voting system for your travels. How do you and your family ensure you don’t over pack a location? Preplanning sightseeing with kids locations is a great tip. Thanks for sharing Nikki! From World Wise Kid, we welcome Deborah. Many of us have heard from our followers of their fear of frustration when planning activities for sightseeing with kids. What are your secrets to avoid these types of feelings during your trips? Deborah, Great points on compromising and how to involve the kids. Thanks for sharing! Greetings Yamy! We heard from Deborah about overcoming the fear of frustrations but what about the fear of missing out? Do you have any recommendations for helping to overcome this fear for sightseeing with kids? Thank you Yamy! Visit GoFamGo here to hear more about the Walt Disney World Rookie Mistakes. Welcome Kris from Gadsventure! You have recently returned from a “cold” trip to Tokyo. Since it was cold and Disney wasn’t an option, What other fun sightseeing with kids activities can you recommend? 5ºC, wow that must have been cold! Thank you for sharing. Visit Gadsventure to read more about their Tokyo Visit for 5 days with kids. From Captivating Compass, let’s welcome Shannan! I’m told that you have a unique formula that you use for planning your sightseeing with kids activities. Would you please share your formula with our readers? Very creative! Thank you Shannan for sharing! Last this week but certainly not least, please help me welcome Shannon from Grab My Passport. We have heard a lot of great suggestions so far. What are the tips and tricks you use for sightseeing with kids? I love that you look at other Family Travel Blogs! Of course I hope you visit us often here at Mommy And Me Travels! Thank you Shannon for these great tips! This wraps up this week’s Sightseeing With Kids: Tips and Tricks interview. Thank you for everyone that participated and provide all of these amazing recommendations. Would you like any other questions answered? Want to leave a thank you to any of the interviews? Share your thoughts and ideas in the comments below about how you plan your sightseeing with kids adventures. We are half way through our series of Planning A Family Vacation with the Mommy Experts. Check out any interviews you might have missed and stay tuned for our weekly interviews as we finish out the next couple of weeks strong! 1 – How to start planning you next family vacation and adventure! These are some pretty great tips and tricks here. I wish I had seen some of these when my daughter was younger. All very helpful. I am really glad to know all about these! You have a very cute baby! I really love the way he smile! By the way, thanks for sharing and I will definitely keep this in mind.